Almost new West of the Trail residence! 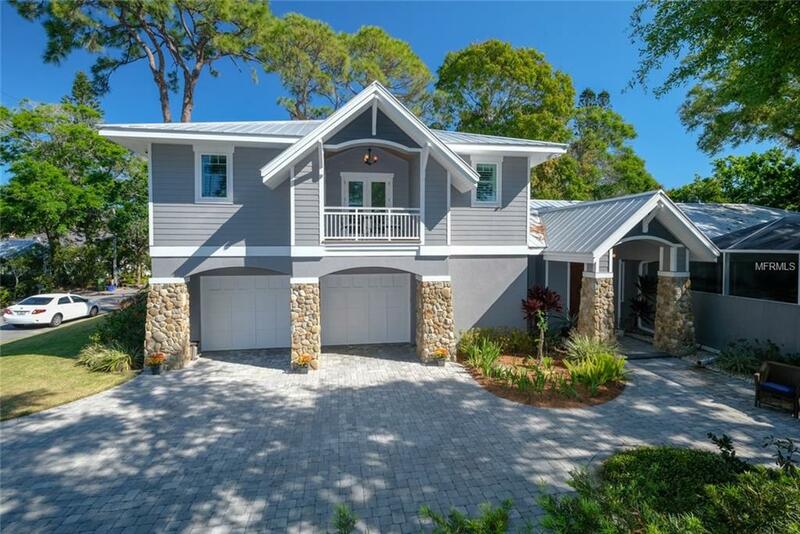 Settled within the established area of Bungalow Hill, this 4 bed, 2.5 bath home, built in 2015, sits upon a picturesque setting with meticulous professional grade landscape. Brick paver drive leads you to this multi-level home with distinct features throughout. The oversized two car garage sits back behind stone columns for a distinguished look. The charming entrance and chic front door welcome you into the entryway featuring hardwood flooring and built in wall niches throughout. Let the family chef delight in the modern gourmet kitchen offering stainless steel appliances, 5 burner gas stove, Sub Zero refrigerator, custom cabinetry, large island, and granite countertops. Featuring a spacious, open layout w/vaulted ceilings in the family room. Desirable split-level plan allows for the master suite on the first floor featuring gorgeous wood floors and trey ceilings with access to the lanai and an en suite providing plenty of counter space and a sleek roman shower. Guest bedroom features French doors to a private balcony with tranquil views of the landscape. Bedrooms offer immaculate plantation shutters. Expansive laundry room with plenty of storage. Embrace paradise living in your large enclosed lanai with a built in outdoor kitchen and heated salt water pool and hot tub perfect for entertaining. Fenced in yard for ideal privacy. Only a short drive to Selby Gardens, Sarasota Memorial Hospital, Siesta Key, St. Armands and downtown Sarasota.